The reality is that the issues that need to be relieved – e.g. the pains of inaccurate inventory management or production schedule – are not caused by the lack of a manufacturing software. The situation in which a company finds itself is the result of its habits and the current processes and procedures. You upgrade your horse and carriage to a Ferrari and mount your trustworthy stallion to pull it. Have you now increased your top speed? When choosing software, many companies are determined to continue with old processes or reporting methods that are archaic or simply unnecessary. If system selection is limited to maintaining old processes and methods, then inferior practices continue and great opportunities are missed. The goals of the MRP system implementation project cannot be not changing anything and automating ineffective processes. Instead, the starting position needs to be a set of clearly defined and prioritized business objectives. E.g. real-time reporting, higher inventory accuracy, faster and more accurate scheduling, etc. Entirely new processes – supported by the software – may need to be defined. While testing the software, develop a vision of future processes that work together with the software to relieve the current pains and issues. Make sure to document all the procedures in the system, how different activities are supported by the MRP system and how exactly the system should be used. E.g. for planning production, managing inventory, quoting, reporting, etc. Working with and without MRP software is not the same thing. Below are some examples of common processes which often need to change when adopting an MRP system. A manufacturing software is, at the same time, inventory software, which provides a real-time accurate overview of the inventory. Right now, and also in the future. This is enabled by the fact that everyone does their tasks in the same system, at the same time. If something is procured, if something is consumed, if something is produced, if something is planned…the system knows it all and can do the math to calculate inventory levels. This means that many of the tasks of the inventory clerk will be automated. And many of the current processes (e.g. frequent cycle counting) may become obsolete. On the other extreme, many companies have decided not to keep track of inventory numbers at all. E.g. 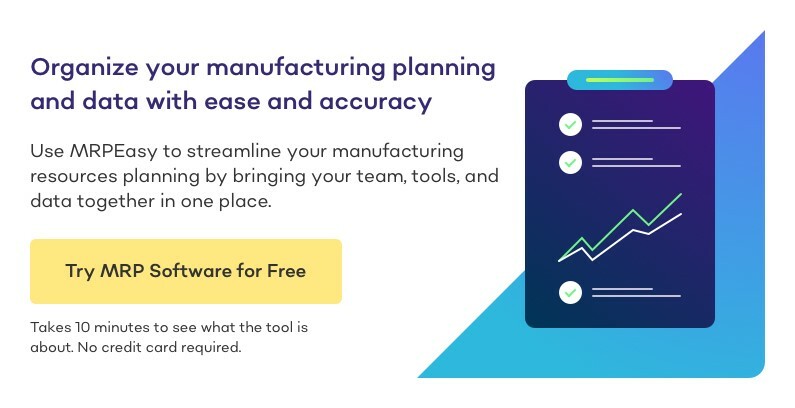 we’ve seen this often in the fabricated metals industry where using spreadsheets or general-purpose inventory management software is a hassle. This results in costly excess material stock and unexpected stock-outs. Now, as MRP software automates most stock taking functions, it’s time to implement the processes for proper inventory management. As the MRP system keeps track of exactly how much material is in stock at any point in time, for how much material there is exactly a demand and then, based on this information, it can suggest exactly how much material to order. Following the suggestion from the MRP system is a process that will help you maintain lower inventory levels and help prevent stock-outs. But, at the same time, this new process is not compatible with processes that rely on historical-statistical methods; e.g. cycle inventory. In many industries, it is nearly impossible to schedule production accurately without specialized software, because it would be too much effort. With manual methods, the lead time estimation is inaccurate and unreliable and potential issues with material availability can creep in. Hence, as a practical alternative, the timeframe for accurate production scheduling is shortened to a few days. There is no clear capacity plan for the long run; only general approximations are done using a simplification of “total manhours vs. expected required man-hours.” But no one really knows when something is to be done because there is no real overview of bottlenecks. An entirely different way of thinking and a different process is employed by MRP. An MRP system understands that resources are limited – there are only a limited number of hours in a day, plus the materials are not always available. Knowing this, the required materials, inventory information and the production route, it can easily schedule production long into the future, taking the actual capacities into account. In many cases, only at the end of the day does a clear picture of the company situation emerge. This is right after the managers have finished sorting through paperwork, and especially, production reports from workers. Many hours each month are dedicated to just this process. An MRP system tells the employees – in real-time – what to do. And, at the same time, the workers report what they’ve done. This not only saves everyone time, but also ensures up-to-date information for everyone involved, and importantly, there are fewer missed orders or delays due to papers getting lost or plain miscommunication (no more un-readable handwriting!). In many companies, every Monday morning all the managers sit through hours long production meetings, just to make sure everyone knows everything and no stone remains unturned…until the next Monday. The production planning meeting could be turned obsolete, fundamentally changed, or shortened significantly by employing the processes powered by MRP systems. Every department has information about everything concerning their operations at any given time. This means that the production planner does not necessarily have to meet in person with sales, inventory and purchasing to know where to place those production runs – the system makes sure that workstations and materials will be available (and if something needs reordering, then it’ll notify the purchaser!). For compiling a good (i.e. profitable!) quote together with an accurate lead time, sales needs to consult inventory, production, and purchases. This takes considerable time, and alternatively, the default solution is to provide a generic timeframe, which does not consider the actual situation – this translates into lost business if the promised lead time is too long and the customer won’t order, or if it’s too short and you fail to deliver on-time. The whole quote to cash cycle is integrated into the MRP system. Producing quotes from accurate cost-profit analysis and giving optimal lead times is a matter of clicking a few buttons. From there, once the order is confirmed, it’s a click of a button to send it to production, a click to report production, a click to invoice, a click to ship…it’s a connected chain of events. If your specialty permits, it is even possible to organize internal processes in a way that the salesperson can have the software automatically schedule the ordered items and add it to the production calendar at the most appropriate time. 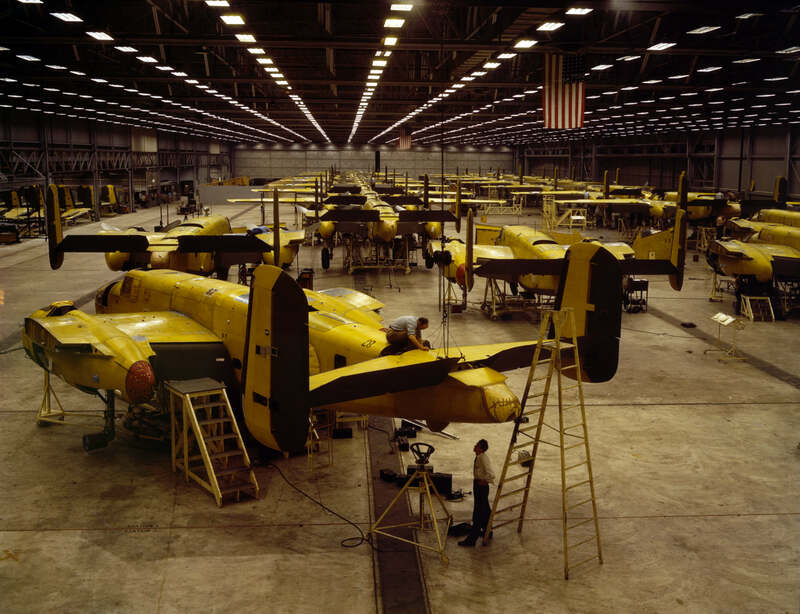 Your success of implementation will be determined less by the software itself, but, rather, by the openness to creating new, more efficient processes enabled by the manufacturing software. Realize that no matter how well you’re prepared, change will be difficult, particularly if the company has a long history and ingrained processes. Treat the implementation like the most important strategic project you’ll ever manage – because it probably is. Disciplined project-management is a must, with a clear timeline, milestones and regular meetings with all stakeholders. MRP System Series #5: What Makes a Good MRP System? 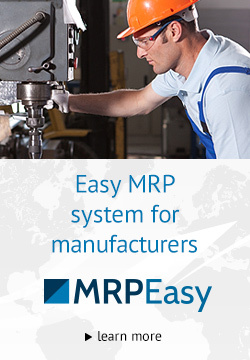 MRP System Series #4: How Much Detail to Input into the MRP System? MRP System Series #2: What is the difference between MRP and ERP? MRP System Series #1: What is MRP?